AI Has a Dirty Little Secret: It's Powered by People - Integration Through Media ....! (VOA): There's a dirty little secret about artificial intelligence: It's powered by an army of real people. Such data feeds directly into “machine learning” algorithms that help self-driving cars wind through traffic and let Alexa figure out that you want the lights on. Many such technologies wouldn't work without massive quantities of this human-labeled data. These repetitive tasks pay pennies apiece. But in bulk, this work can offer a decent wage in many parts of the world – even in the U.S. And it underpins a technology that could change humanity forever: AI that will drive us around, execute verbal commands without flaw, and – possibly – one day think on its own. Accurate labeling could make the difference between a self-driving car distinguishing between the sky and the side of a truck – a distinction Tesla's Model S failed in the first known fatality involving self-driving systems in 2016. “We're not building a system to play a game, we're building a system to save lives,” says Mighty AI CEO Daryn Nakhuda. “It's a good platform to increase your skills and support your family,” she says. 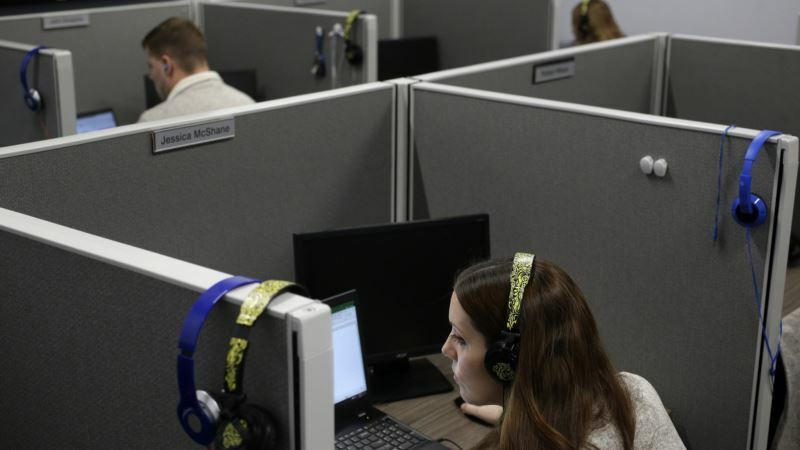 When a computer can't make out a customer call to the Hyatt Hotels chain, an audio snippet is sent to AI-powered call center Interactions in an old brick building in Franklin, Massachusetts. There, while the customer waits on the phone, one of a roomful of headphone-wearing “intent analysts” transcribes everything from misheard numbers to profanity and quickly directs the computer how to respond. That information feeds back into the system. “Next time through, we've got a better chance of being successful,” says Robert Nagle, Interactions' chief technology officer.